Normally, I like to space out the book cover posts a tad. But I simply couldn't wait with this gorgeous cover (her dress . . . the fog . 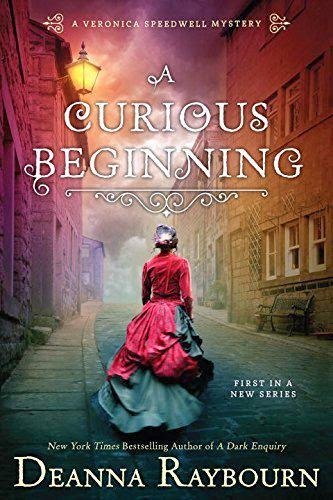 . . gah) just being revealed for A Curious Beginning—the first book in Deanna Raybourn's upcoming Victorian mystery series. The series follows Veronica Speedwell—a scientist with a taste for adventure. There is an enigmatic German baron, a bad-tempered historian named Stoker, murder, mayhem, oh my. A Curious Beginning is due out September 1st. Yippee!